Caribbean Lifestyle Media-Any artiste will tell you, without proper management, accomplishing the many task associated with one's career is a daunting task. Caribbean Lifestyle Media is familiar with the quality of music Teflon puts out-an underrated DJ would be an understatement. 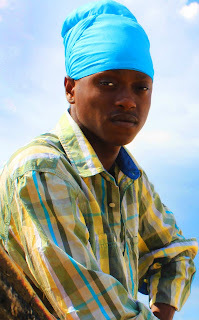 We recenlty learned that Teflon recently signed with Mad Vibez Entertainment and Digital One Production. Richard Roache of Digital One told us, “When we came together, we all understood what is needed to be done. We sat, talk and everyone came to a mutual understanding that there’s a perception out there and it needed to be change." Teflon who recently completed a European tour is optimistic of his new path stated “No mi nah go change mi style, a dat mek Jamaica know Teflon so how mi fi change it? Only thing the fans dem must expect is more quality work”. Watch Fire is Burning by Teflon and purchase single here .